NEW YEAR GIVEAWAY BLOG HOP! TO EVERYONE ELSE, PLEASE CHECK BACK AS THERE WILL BE MORE GIVEAWAYS HAPPENING IN THE NEAR FUTURE. So … what goodness do I have for this hoptapular event, you ask? 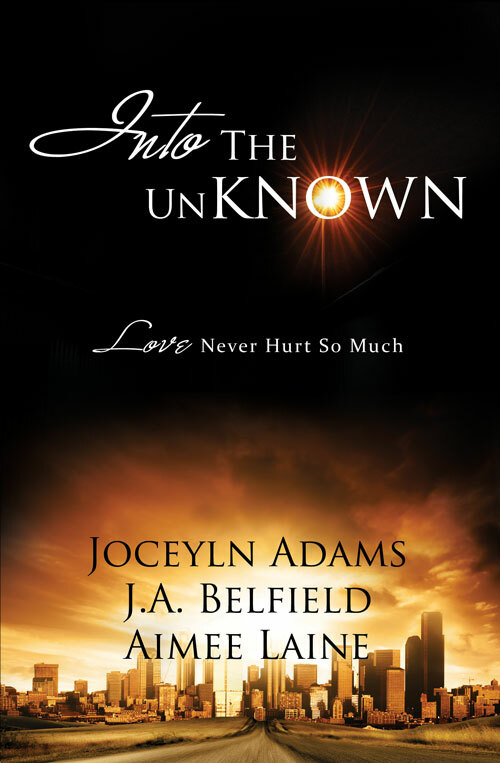 And … one copy of Into the Unknown, featuring my short story: Marked. So … do what do YOU need to do to win? Easy peasy: Simply leave me a comment below (with a contact email). Off you go, go gooooooooo! And don’t forget to click the hop image above to the complete list of blogs hosting giveaways for more chances to win prizes. This Blog Hop runs until midnight on January 3rd 2012 and the draw will take place after that date. I am mucho excited about this one. I recall writing it summer of last year, whilst the kiddiwinks were on their six-week holiday and yakking in both my ears and demanding my time. Yet, somehow, I still managed to wrap up this novella–possibly because it was demanding to be told. This was such an appealing AND intriguing tale for me to write. Not only did it give me the chance to go back and explore Jem’s and Sean’s roots, but it allowed me to spend some time inside Sean’s head (not an altogether unpleasant place to be, let me tell you). Sure, this was one of the purely self-indulgent bits of writing an author might indulge in. I never imagined anyone else would enjoy it. But my publisher did–enough to want to publish it. And now it is due out in less than SIX WEEKS on January 1st and I canNOT wait. The marketplace had to be the best venue to pick up females. At the age of twenty, I would have been happy to visit every day, but James would not permit me. As Alpha, his commands were followed without question, so my visits were limited to once a week. I had to admit, it worked out better that way. My past catches never approached, never asked why I had not called to visit or if I would see them again. From fruit to art, to lace, to the blacksmith’s stall, I walked. With each step, familiar smells drifted over me: Lorna Rushford, Helena Longbarrow, Matilda Thornberry. Each brought with her a memory. Paintings of marketplaces often depicted them as cheery, colourful, and bustling with activity. The latter conception may have been correct; however, they leaned more toward grey and dreary, and the air often filled with yells of anger and bitterness as opposed to joyful greetings. At least there were the scents: hams and boar’s heads, fruits, wines, the steam of cooking soups, and, my most favourite of all, the freshness of ripe women. They noticed me as much as I did them. My refusal to conform to the current trends in attire ensured I stood out from the other males who bothered to arrive. Whereas the women’s glances would be appraising, perhaps even hopeful, the men’s glares offered nothing but scorn for my dark trousers tucked into knee high leather boots, and for the shirts I never bothered to secure with woven laces. Men had been hung for far less than inconsiderate fashion sense. Yet, I did not care. I was not like them and never pretended to be. Eleanor had turned out to be a worthy virgin. The scent of her blood drove me wild as I had plunged into her. My nose lifted to track her, and I found the woman beyond a table stacked high with fresh loaves, hidden behind her fan, which she waved with vigour. I recalled that her petticoat had held many layers, and the removal of them turned out to be almost as much fun as the act itself. I wondered how she explained the damage to her pompous husband. A new aroma begged for notice, faltering my step as my nostrils flared. Strong, yet understated, alluring and seductive, the unsullied flavour carried the exceptional deliciousness of womanly musk. Possessed by a need to find the source, I tilted my head and allowed my nose to lead. Well … what did you think? Sound like something you’d like? Then don’t forget to mark January 1st in your diary, and whilst you’re waiting for that to arrive, why not add it to your reading list over at Goodreads. Way back around Easter time -ish, I signed a contract for my novella, Instinct. I’m mucho excited about this one, as this is a tale I wrote for totally selfish reasons because I had an urge to discover what made Sean Holloway tick. So … this is a story that takes readers way back to the beginning. 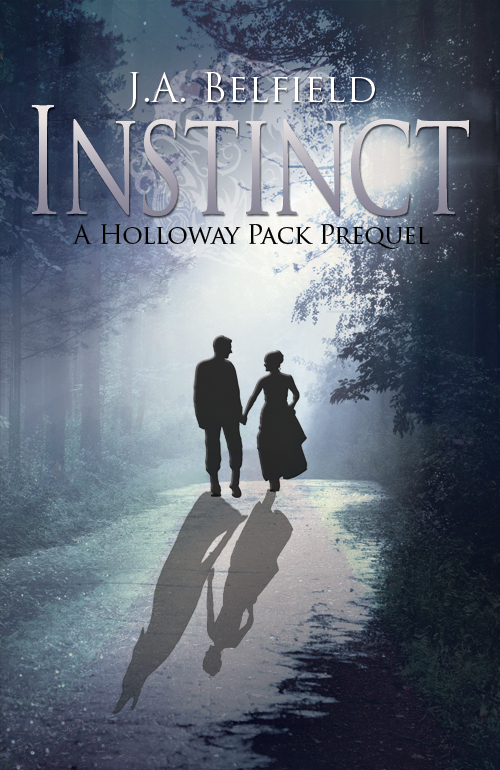 In Instinct, the reader will get to understand how it all began between Jem and Sean of Darkness & Light. And … today … I get to share the cover and blurb with the Internet world. Let me just say, I LOVE it! Each earlier mock cover that was sent for me to check out got a kind of ‘Ummm’ reaction from me. Then this one came, and my response upgraded to ‘oooooh’. I’m not going to tell you what sold it for me. If you study it well enough, you’ll figure it out for yourself. So, I guess I’d better give you the chance to do exactly that then, eh?